Susie Hayter has been a full-time Realtor in Hawaii since 1989. She has continued to hone her professional skills and has gone on to achieve many honors, including Top Producer, President’s Elite and more. Susie has worked with many Fortune 500 companies, helping them with relocating business professionals and their families to and from Hawaii - something she takes great pride in as she herself moved back to Hawaii in 1987 and understands on a personal level, the difficulties and challenges involved. Susie strives to make sure her clients are not only delighted with the outcome, but hopes to relieve them of the stress that often accompanies this kind of upheaval. 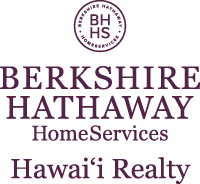 This level of commitment and service has resulted in her being continuously nominated for the prestigious ‘Aloha ‘Aina Award’ 2007 - 2016 and being voted 'BEST in REAL ESTATE' by Honolulu Magazine several times. The most recent honor being voted 'Best in Real Estate' 2017.